A hard-nosed city reporter (Dan Duryea) writes a story that gets a prosecution witness killed and, as a consequence, he’s fired. Anathema in his usual environment, he takes a job at a suburban newspaper, only to find himself involved, on his first day, in a murder - and fighting on the right side, for once. 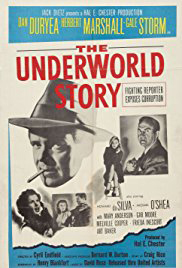 The Underworld Story is not really an easy movie to review - except for the title. It is meaningless, as this is not an expose of the underworld (either in terms of criminality or mythology), and organised crime is just one aspect of the film. The fact that there are a number of different elements to the film is the problem. Each element is pretty good - but they don’t go together. 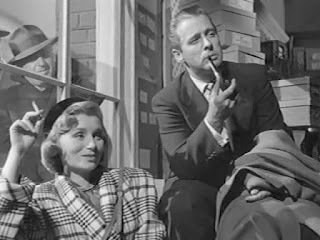 Duryea does a fine job starting out in his usual ‘heel’ role, but his character becomes more noble as the movie progresses. 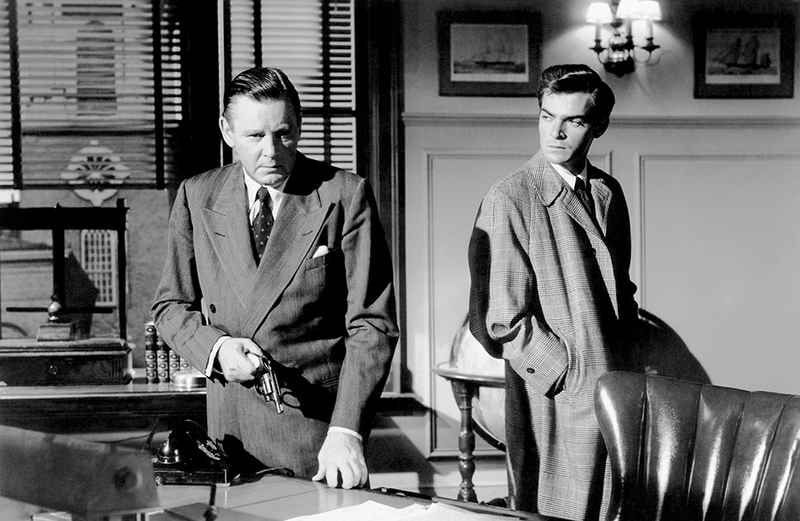 The script makes the transition unbelievable, but Duryea’s talent brings it back to some credibility. It’s interesting to watch his character’s confidence diminish as he becomes a better man. He’s not accustomed to such behaviour, and is unsure of how to deal with it. 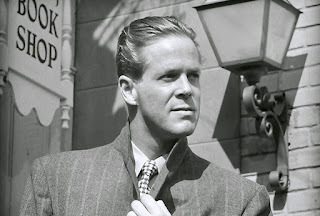 Gale Storm has a thankless role as Duryea’s newspaper partner and potential love interest, though this doesn’t develop as it may have been even less believable than Duryea’s transformation. Howard Da Silva has a role that looked as much fun to portray as to see. His mobster certainly enjoys his status, and his befuddlement at the climax is almost palpable. 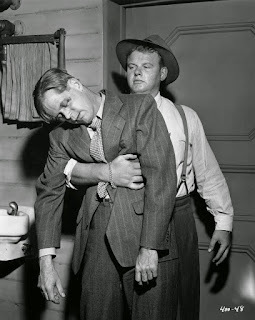 As well, Herbert Marshall gives pathos to his part as a decent man who realises he must protect his murderous son. The acting is not at fault but, rather, the story - or stories, since there are several. It starts out as a tale of the mob and organised crime, from the journalistic point of view. It moves into a murder - not really a mystery, since we are told almost immediately who killed the victim - then into a story of unjust persecution, and mob (a different kind, this time) mentality, a story of social inequality. The shift in narratives is accompanied by a shift in setting, from the small-town suburbs to the unnamed big city, which merely accentuates the disconnection between the elements. Strangely, each of these elements is well done. The psychological crime story, the tension between father and son, provides genuine suspense, as the viewer wonders about the outcome. The interaction between the reporter and the crime boss also provides tension, while the other side of the murder, featuring a black maid on whom the real killer hopes to foist his guilt, suggests the writers also wanted to incorporate a tale of discrimination. 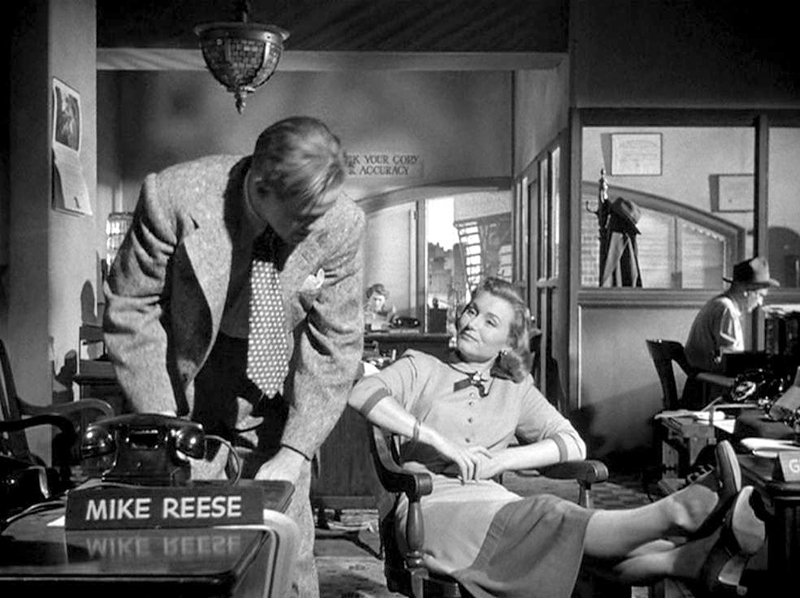 Mary Anderson, as the maid, gives her character dignity and fortitude, and also the movie’s best line: when she realises another character tried to give her up for the $25,000 reward, she congratulates her betrayer, and remarks that she had a great-grandfather who was sold for a lot less. But even this aspect of the film veers off target: in the ensuing rush of the town to convict her, the innocent maid’s race isn’t mentioned, except by the killer and the woman herself. It’s as if, though shallow and easily led, the townspeople genuinely don’t care about race. Instead, their story is one of the dangers of irresponsible journalism, and of the lynch-law. So while oil and water are essential ingredients in many good foods, they simply don’t mix - and neither do the parts of The Underworld Story. In the "old days," there were a lot of movies that tried to tackle so many themes, they didn't do justice to any of them. Nowadays, of course, it's rare to see a film do justice to ONE theme.